Jeeps are notorious to chip and crack their front windshield glass due to kicked up road debris and the windshield frame being more vertical. 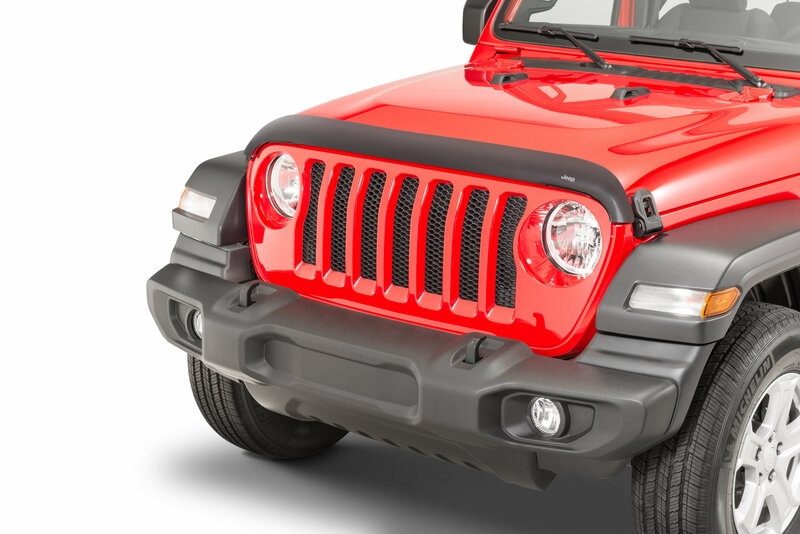 Protect your Jeep Wrangler JL glass with the Front Air Deflector by Mopar. The smoked out deflector mounts to the underside front lip of the hood making for a simple installation and a blackout look. 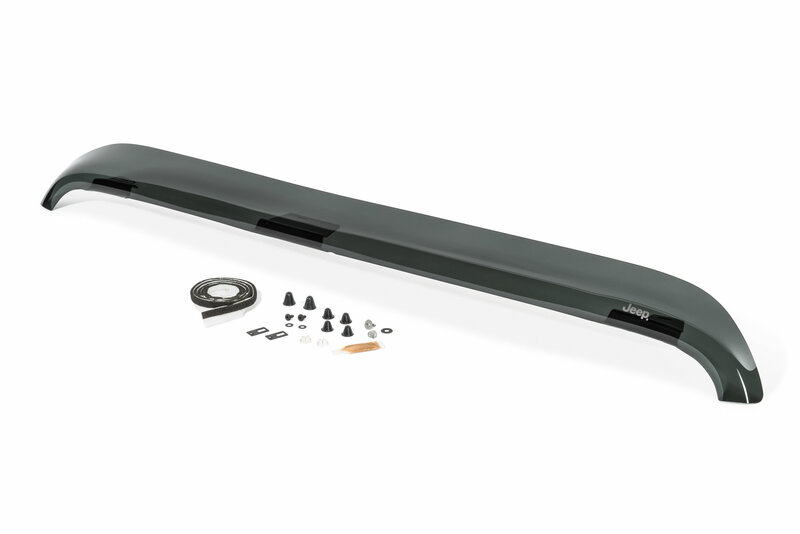 The curved top edge will direct air, bugs and road debris higher up helping them to avoid contact with your windshield glass. Keep you glass intact and clear with this clever design. Glass Protection: The deflector could pay for itself by potentially avoiding just one broken glass. 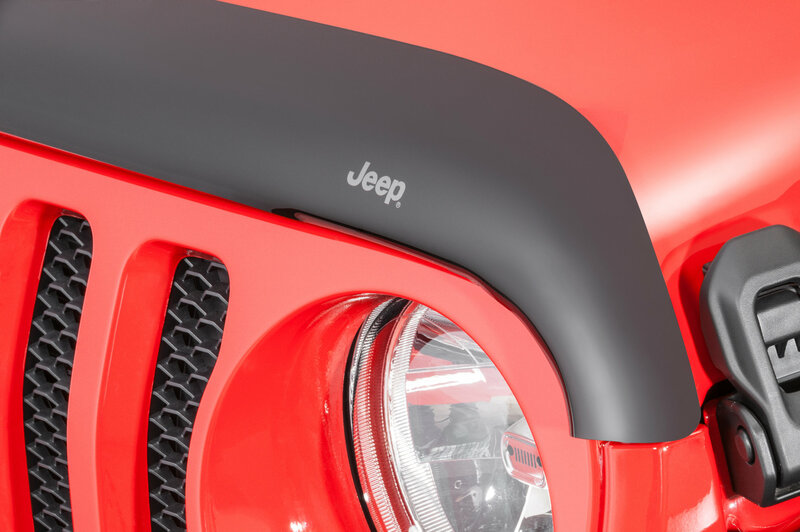 Stylish Design: Branding the deflector with a Jeep logo in white located on the driver side corner giving it a custom touch. Simple Installation: Mounts to existing holes with a no drill installation including all the necessary mounting hardware. Came today, broke today. Not all the directions were there. Thankfully the page I needed had pictures but directions not in English. I didn’t like the idea of putting “bumpons” (bumpers) on my hood, so I didn’t. Went for a drive (paved roads) came home few hours later and it was chipped and another cracked. Took it off and threw it in the trash.